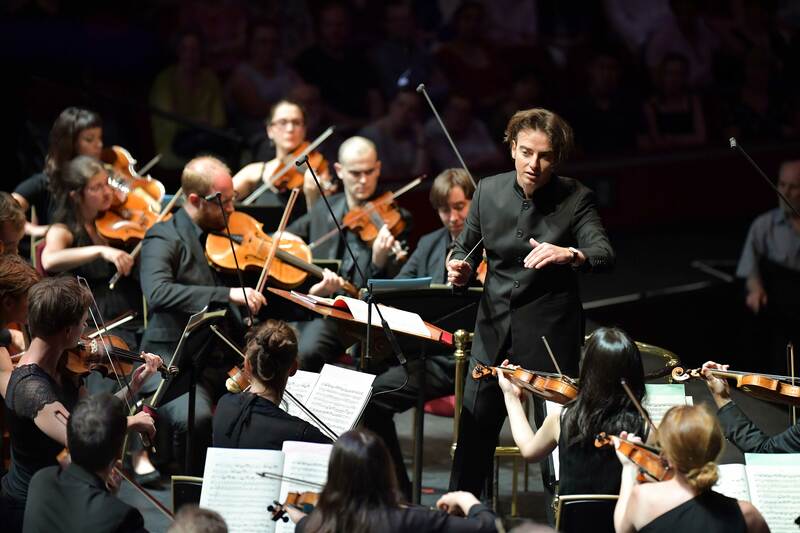 Since it was formed in 2005, the orchestra has been a guest at the most prestigious venues in France and abroad. Le Cercle de l’Harmonie is present in the leading Paris opera houses including the Théâtre des Champs-Élysées, the Opéra Garnier and the Opéra Comique, at international festivals (Festival d’Art Lyrique d’Aix-en-Provence, Festival International d’Opéra Baroque de Beaune, BBC Proms) and in such major European venues as La Fenice (Venice), Bozar (Brussels), the Barbican Centre (London), the Musikfest Bremen, the Amsterdam Concertgebouw, the Cologne Philharmonie and the Dortmund Konzerthaus. Jérémie Rhorer and the musicians are united in the certainty that it is by using the instruments for which composers wrote and conceived their works that we will be able to rediscover their authenticity and their spirit. They defend the intimate relationship between text and musical texture. Their constant practice of opera and their attention to singers has endowed them with great flexibility, enabling them to approach the symphonic repertory with a new kind of freedom and inventiveness. Working regularly with renowned stage directors such as Stéphane Braunschweig, Denis Podalydès, Laurent Pelly, Éric Génovèse, Olivier Py, Jérôme Deschamps, Marcel Bozonnet, Éric Lacascade and Jean-François Sivadier, Le Cercle de l’Harmonie blazes an original, creative and innovative trail closely aligned with the personality of its founder Jérémie Rhorer.